Goodbudget has a podcast! Wanna listen? The Goodbudget Way podcast is live and ready for your listening pleasure! In the show, we share stories of real-life people who spend, save and give to what’s truly important in life. We hope you’ll check it out. 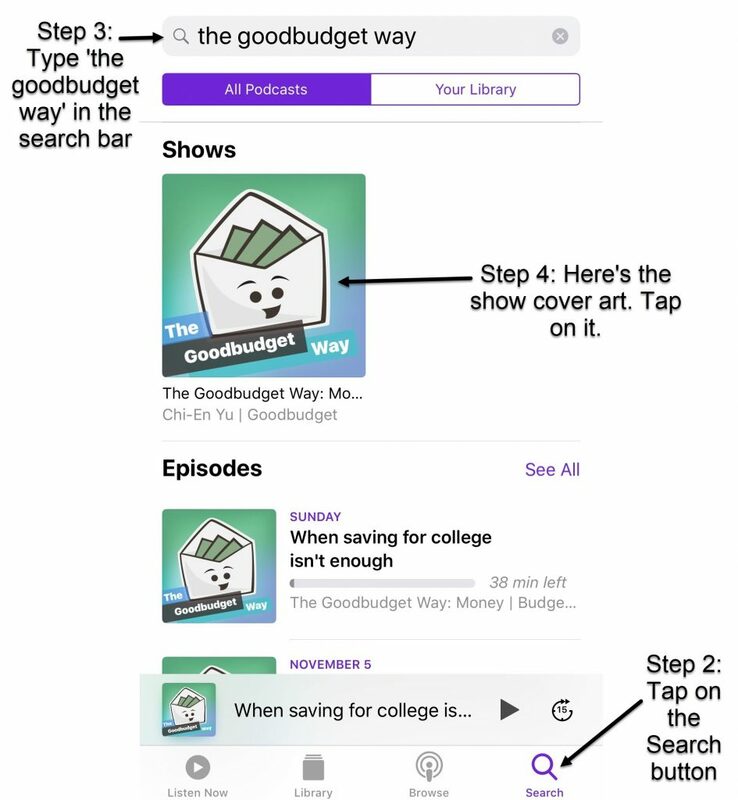 You can listen to The Goodbudget Way on the Apple Podcasts app, or wherever you get your podcasts. Be sure to subscribe so that you get new episodes as they come out. 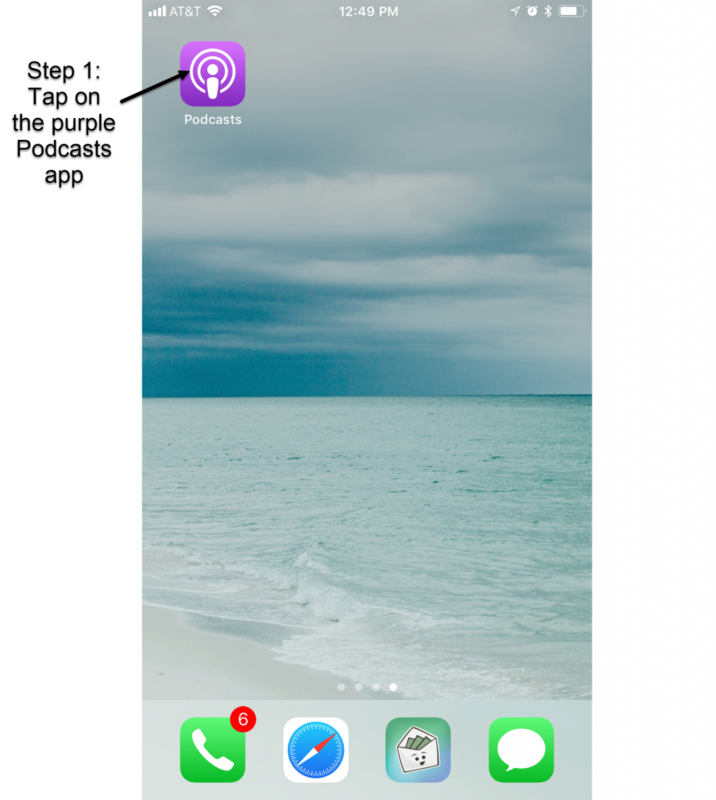 If you’re new to podcasts, here’s a quick tutorial on how you can start listening too. 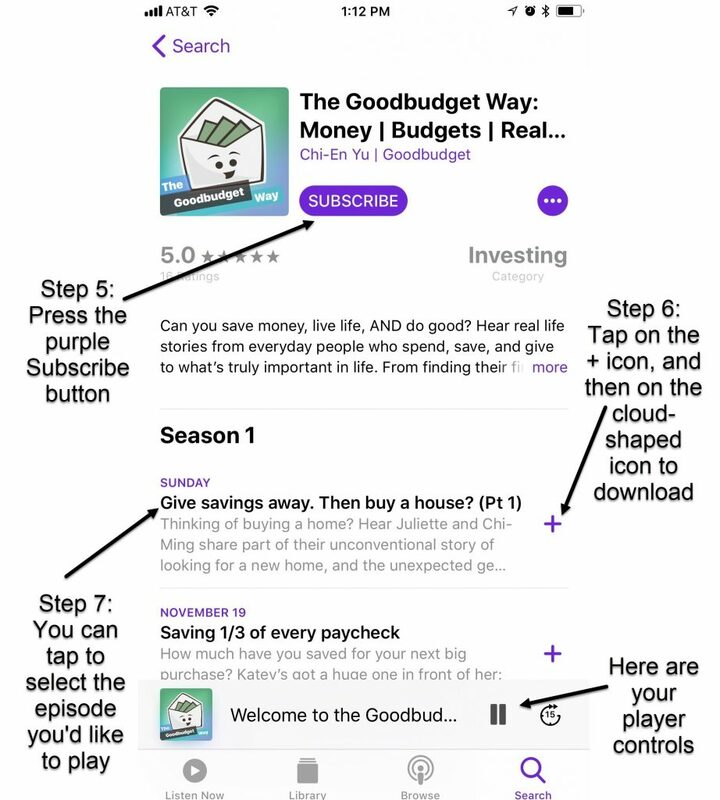 Step 5: Press on the purple ‘Subscribe’ button to have each episode automatically download. Note, subscribing to the podcast is free. Wahoo! Step 6: You can tap on the + to prep the episode for downloading. Once you do that, the icon will be replaced with a cloud-shaped icon. Tap on that to manually download an episode. Note: This bar at the bottom shows which episode you’re currently listening to. You have controls to play and pause the episode there. Note: If you’re on an Android phone you can stream the podcast from the Google Play Music app. Or download an app like Stitcher or Pocket Casts on your iPhone or Android to stream the app there.